fake info not have android 7.0. 5.1.1 is available on this phone. This thing is a piece of trash, at most I would pay 50 bucks for it. Yet it's 150 bucks... I've seen flip phones better than this. I hope nobody is dumb enough to get it. Dont buy it.They run high end Android 7.0 on an 8 Gb internal mem.Like WTF samsung ? Seriously ? pinku, 10 Dec 2017Worst samsung phone. All J 2 (2016), J 2 (2017) are worst phone ... moreEven the 2016 model was better than this new one. I hope no one will buy this and production will be cancelled. The development costs would no longer exist and other, better phones would maybe get cheaper. rest of the mobile companies making phones with higher specs with low prices and samsung doing this opposite, this not the era of using 1Gb ram phone with 5mp cam. if this will continue huawaii will be the cheapest brand in good spesc as huawaii introduce its Mate 10 lite in just 300USD. Worst samsung phone. All J 2 (2016), J 2 (2017) are worst phone aver. High price with low quality. These SAMSUNG AMOLED Screen phones have some major screen problems. don't buy these phones. 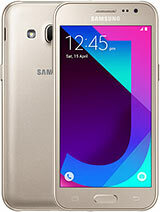 Samsung is repeating same thing in J series and prices are so high. People should look at Nokia, they provide more specs and built quality in same price.